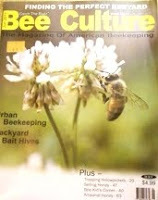 New England Beekeeping journal for hives in New Hampshire's northern climate. BEEKEEPING IN THE NORTHEAST - An account of my beekeeping, not a treatise of expertise, but for friends & family who wish to keep bees vicariously through me, and for the occasional apiarist passer-by. This is adapted from my March 2016 article "Why Beekeepers Feed Their Bees". Photo: "Wonalancet Mowed"
FALL ~ Sigh... 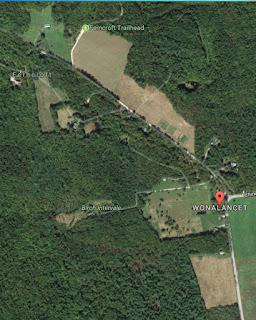 It is September 19, 2017 and Wonalancet is mowed. A few pockets of goldenrod and aster in the woods here and there, but the flow is over. Seven months to go to the dandelion flow. If it were cold the bees would be conservative in eating through what they have stored to this point, but those hurricanes in the Atlantic are bringing summer weather to New England. The girls are active and out scouting. In the cold days of fall after the nectar flow is done for the year I have not normally fed my hives of the last few years because they have been very good about putting up their own stores for winter. My harvest in August is frame by frame, from those that can spare it. Never whole supers. I use a lot of honey so thank goodness it does not go to waste. With 3 to 5 lbs per frame an August harvest in my apiary's subarctic plant hardiness zone gets us... and the bees, through the winter. As a rule, a beekeeper feeds in the fall to insure an abundance of honey and pollen stored over the colony as they move in cluster up through the hive, November through April... sometimes into May. I may put out a thicker batch of syrup, fresh daily, at a feeding station. 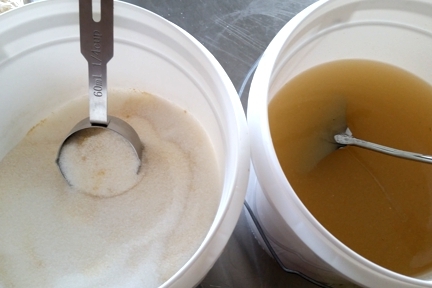 This is two parts sugar to one part water in the hope they will have time to evaporate the moisture off before clustering at daytime temps of 50-57F degrees in preparation for winter. Some beekeepers gradually thicken the syrup and even add a slight amount of pollen. Just thinking about my girls eating sugar is hard, but at least they do put their enzymes into it as if it were nectar and does become a kind of honey. Still, I decided to add a little pollen supplement powder. I'm not used to doing this so went with the 8 cups sugar to 4 cups water and a 1/8th cup of dry powder. Yes, I am open feeding in my Red Path apiary! I don't recommend this. With lots of hives it is less intrusive. I put out just enough for a day and fill it in the morning. 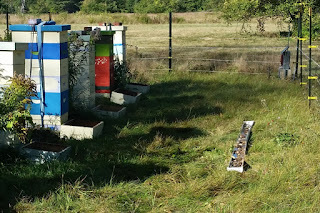 Normally, you would open feed far from the apiary but I don't have that option. 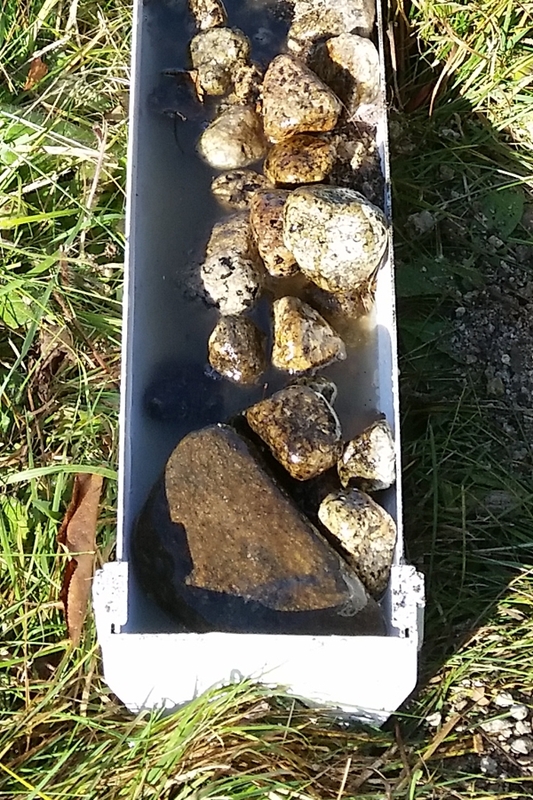 On my weak hive in Center Ossipee I am using a bucket feeder above the inner cover and I have a little chicken waterer for the other girls that I take in when I go home from work. 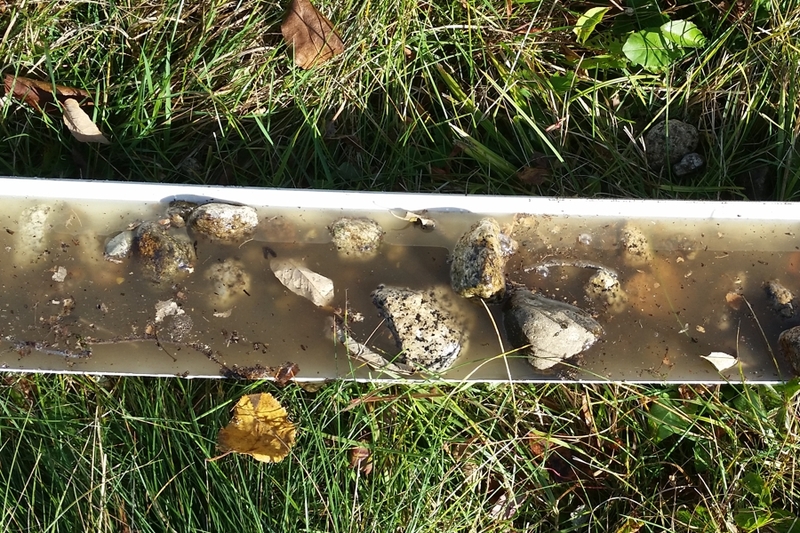 Full on pollen supplement feeding in the fall is not recommended as it can stimulate brood production at a time of year when the colony should be shrinking in numbers in order to maximize its limited resources over the long New England winter to come. In freezing weather - once the quilt box is on - I have used a variety of sugar recipes in the tops of my hives over the years. 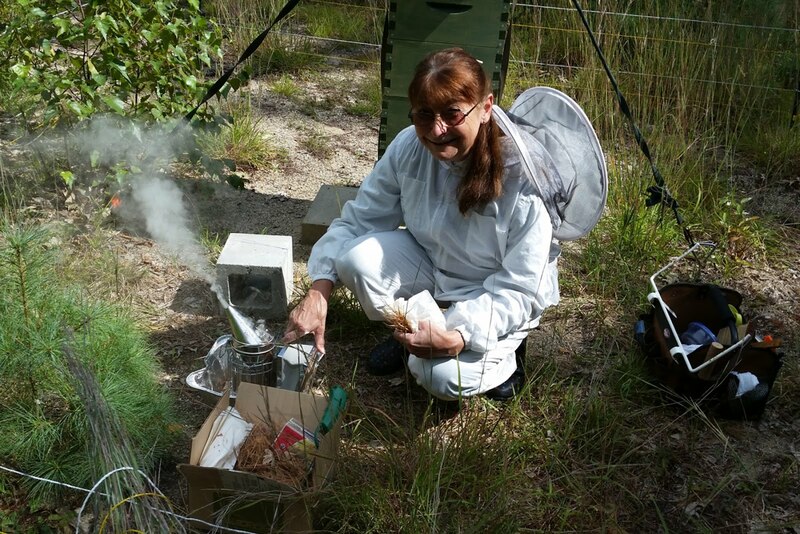 One year it was Capital Area Beekeeper's Club fondant; other years it has been a top feeding wet sugar mix, see: Karen Thurlow of New Moon Apiary in Maine. She makes up a batch of sugar with enough water to make it crumbly and inserts in into her winter top super set up. 1/8 cup of dry pollen supplement. supplements & substitutes. Original article has details. I like slipping in this sugar mix as a precaution. Beekeepers need to be careful and very astute when feeding any time of the year, especially syrup. The girls love to hoard, so if they max out the space in the hive with supplemental liquid feed it may not be properly evaporated before winter sets in. I have made the mistake of rearranging these uncapped frames of syrup to the top super only to have the high moisture content freeze in the cell and then, like tiny ice cubes, melt and drench my bees. This could be deadly. Note: Except for Karen's loose sugar method, I am not a fan of what are called 'candy boards'. I have had them melt down and drown my bees or create moisture issues with my hives. This is not the usual experience. Most beekeepers love them. For the complete article see "Why Beekeepers Feed Their Bees" and for a valuable resource of feeding recipes and strategies see this Maine State Beekeeper's Association page. I welcome any feedback, especially if you see any way this article can be improved. My wife and I are 5th year beekeepers in Central Texas. I got a similar recipe (to Capital Area) for fondant this week and found your blog in my search for more info. Of course our climate is different, but what we are doing since the end of January is feeding pollen sub in the pvc pipe feeders. The bees are swarming those feeders. Also we took an old deep body with a bottom board and top and set it around 400 feet from our apiary. We put frame feeders inside and are using 1 to 1 light syrup. The girls are taking it, but not like the pollen sub. I'm going to have to pay attention to the frames to be sure mama has enough room to lay. I'm curious to see how the preference (pollen vs syrup) might change as the spring comes on here. I do have one question: Why not just put dry sugar in Karen Thurlow's tray? Just curious. Thanks for your comments... always amazes me to hear real-time interviews about the plants and trees that come into bloom this time of year around the country when we are still a few months off. One note about using the pvc feeder with aromatic pollen powder... it insited some serious robbing of one of my colonies one spring so I don't do it anymore. The earliest I've seen my girls bring pollen in was from the pine trees on a snow covered landscape in mid-April and it was 47 degrees out. Hardy girls! My queens don't seem to start laying for spring until March. Yes, about Karen's method, I do think dry sugar would work as the respiration from the cluster would certainly moisten it. I'm not sure why she pre-moistens it but it could be some unusually dry circumstances in her neck of the woods or an effort to keep it from pouring down in through the frames. The best video I've seen so far on feeding syrup is Paul Kelly up at Guelph U in Ontario on YouTube, he doesn't cover pollen feeding for some reason. 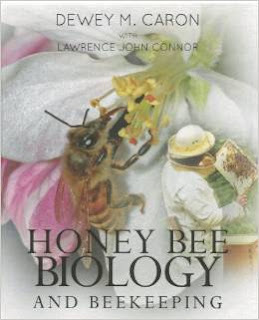 Honey Bee Biology and Beekeeping by Dewey M. Caron. Revised 2013. If you have one book this should be it. 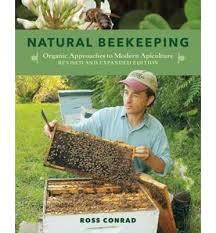 Natural Beekeeping Revised 2013 by Vermont Instructor Ross Conrad - I took a class from Ross who writes for Bee Culture Mag and like his ideas. Hive Management by Richard Bonney - I believe he is in Vermont. I've learned so much about winter prep from this book. My Italian's survived -20 F and a 5-6 month gruelling winter by using his techniques. The Practical Beekeeper - Nebraska's Michael Bush, Great stuff for natural beekeeping methods in a northern climate. GeoOdyssey Publications. Watermark theme. Powered by Blogger.